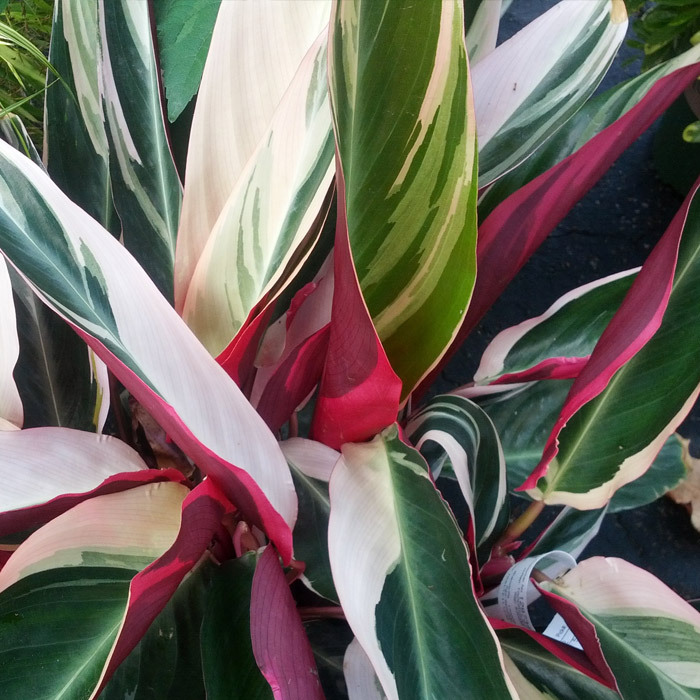 Notes: If you have a shady spot the Stromanthe Triostar makes a striking specimen with its beautiful coloration of creams, greens, pinks, and reds. It will tolerate early morning sun only. Stromanthe like it lightly moist – leaves will curl if the plant becomes too dry. Stromanthe are more cold tolerant than some semi-tropicals taking temps to 32 degrees. Established plants normally recover quickly if winter damaged.